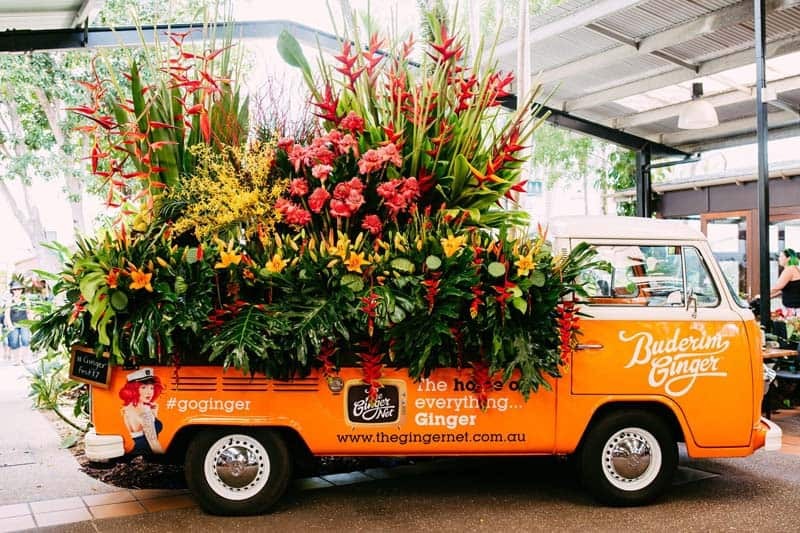 The Ginger Flower and Food Festival is a huge event held at the ever popular Ginger Factory on the Sunshine Coast. This festival runs over three days with heaps of food, flowers and entertainment for people of all ages. 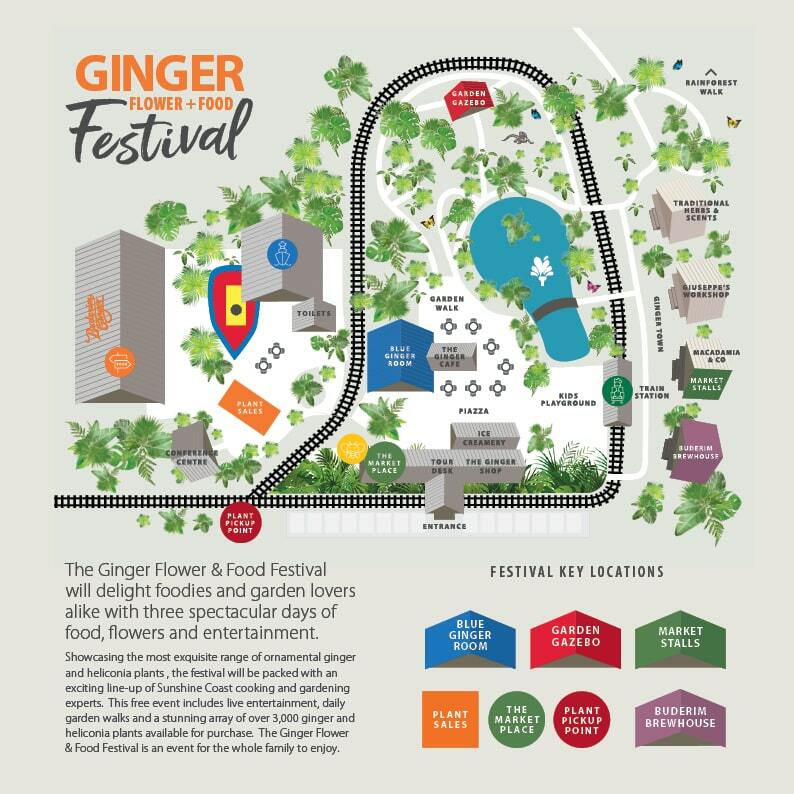 The Ginger and Flower Festival will feature heaps of food and gardening experts, as well as live entertainment, animal experiences, market stalls and thousands of plants available for purchase. 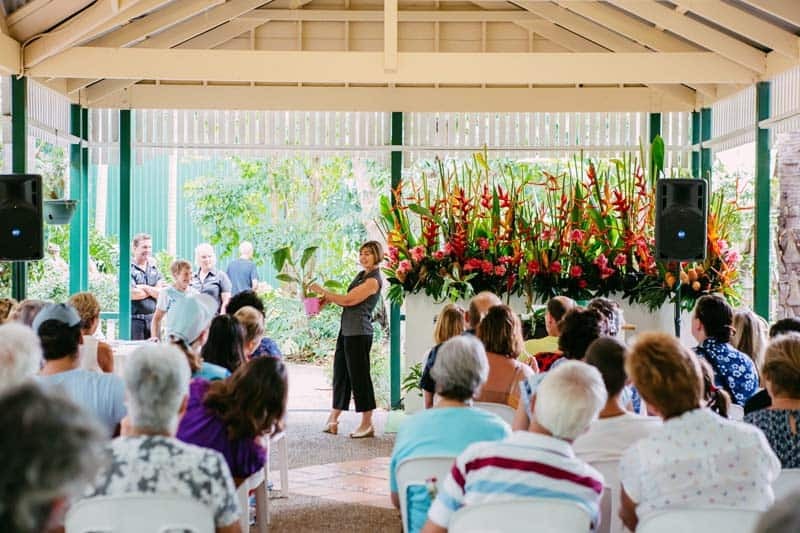 Come along to one of the informative garden talks where you can learn about ginger and heliconias and heaps of other plants that are on display. Some of the talks will include learning about contemporary garden design, how to regrow food from your kitchen scraps, creating floral displays, learn about honeybees from an expert beekeeper, learn how to grow root crops such as potatoes; just to name a few. 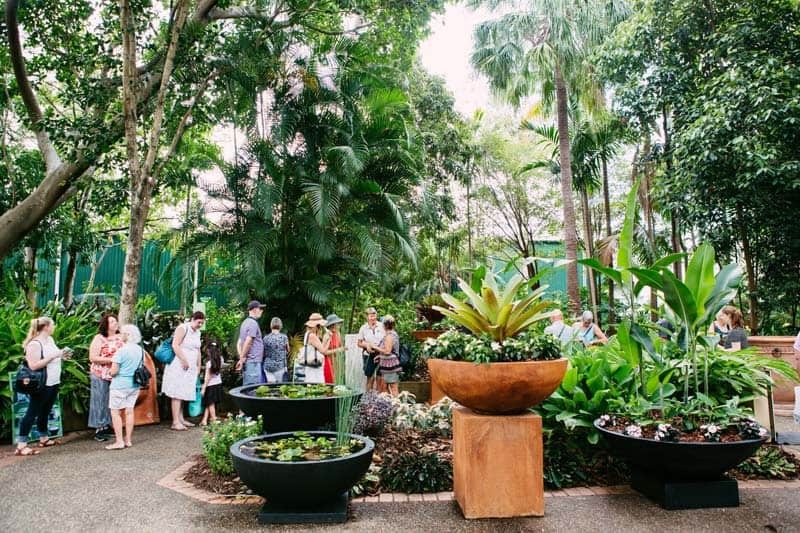 After you have browsed through the festival, hop on the Moreton Ginger Train, a 115-year-old cane train which runs leisurely tours through the tranquil gardens. After you train ride, head over to the Overboard Boat Ride which is a fun water adventure ride suitable for people of all ages. Stop for lunch at the Ginger Cafe and grab a snack or meal created from the best local produce. Finish your day with a visit to the Ice-Creamery where you can indulge in their delicious range of homemade ice-creams which are made right there on site. Make sure to stop by the Ginger Shop on your way out and purchase some tasty ginger products to enjoy upon your return home. Bring your whole family to the Ginger Flower and Food Festival and have a great day out!